SCHAUMBURG, Ill. — The trouble with brakes is that so many things can go wrong. That was one of the takeaways from the first day of a two-day Commercial Vehicle Safety Alliance brake symposium aiming to educate motor carriers, commercial vehicle inspectors and technicians on the latest advances and challenges in keeping brakes in good working order. Brakes are a mixture of complex systems and components and are the foundation for anti-lock, automatic emergency braking and electronic stability control technologies, according to several experts speaking at the symposium. When brakes don’t stop efficiently, neither do the advanced technologies, they emphasized. Schaefer said that even mechanics who supposedly are trained on brakes too frequently don’t get the right information. At last year’s CVSA’s Operation Airbrake enforcement campaigns, 12-14% of all CMVs inspected were placed out of service for brake-related defects. At last year’s Roadcheck event, 41% of vehicles placed out of service were due to brake-related violations, and the National Transportation Safety Board continues to find in its investigations that braking systems are significant factors in crashes. Also, the Federal Motor Carrier Safety Administration’s Large Truck Causation Study found that brakes were a factor in 29.4% of all CMV crashes investigated. Presenter Shelley Conklin, inspection services technical administrator for Landstar Transportation Logistics, said her job involves scouting out and monitoring the more than 400 shops the carrier uses to maintain its 10,000 owner-operators’ trucks in working order. She said she has been shocked at how little many technicians actually know about how to maintain brakes or the requirements of federal regulations for brakes. Conklin said Landstar’s top five brake violations are for failure to secure a hose or tube, brake out of adjustment, failure to maintain automatic slack adjuster, ABS malfunction light trailer exterior and air leak. 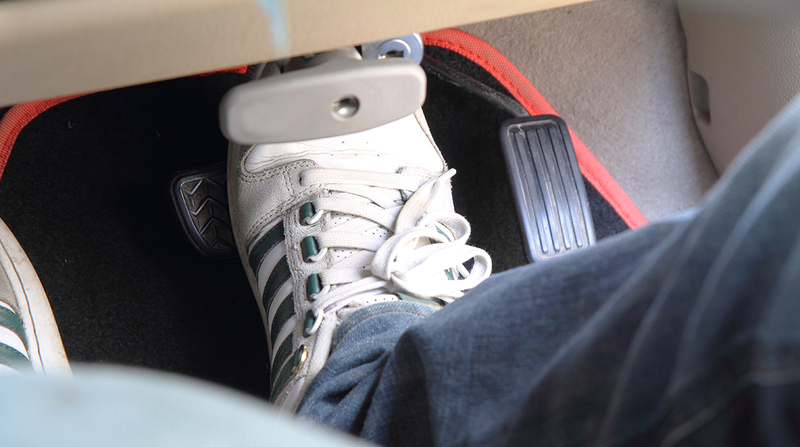 Twelve years later, brakes remain on the top of the safety list. Even then, those who attended the symposium agreed that brakes were a continuing problem, that technological advances were on the horizon, and that there needed to be more open and effective dialogue among suppliers, equipment manufacturers, engineers, drivers, enforcement officers and fleets, said CVSA’s current president, Capt. Christopher Turner of the Kansas Highway Patrol. Jennifer Morrison, a supervisory highway crash investigator with NTSB, said that after a truck driver ran into an Amtrak train in 2011 at a rail crossing in Miriam, Nev., her agency recommended that the National Highway Traffic Safety Administration should adopt standards for onboard brake-stroke monitoring. That hasn’t happened, she said.